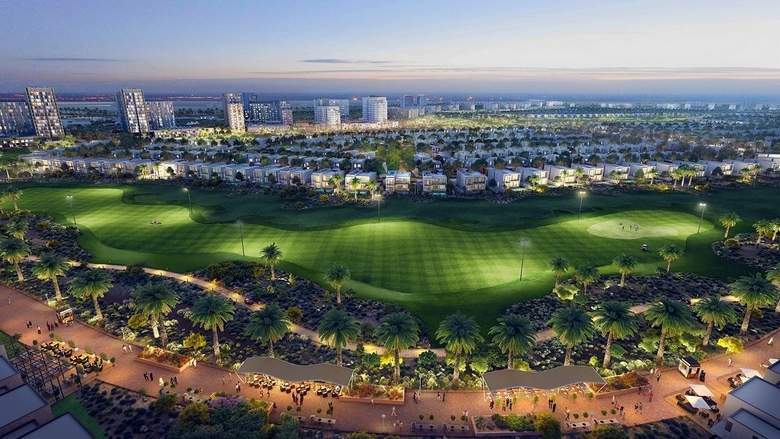 Following the response to the launch of its first two phases, Emaar has now unveiled phase three of Expo Golf Villas, a limited collection of three and four-bedroom villas located next to an 18-hole championship golf course in Emaar South, near the Expo 2020 site. Research by KPMG and the American National Association of Realtors proves that golf courses have historically boosted the value of nearby properties by as much as 20 per cent. Prices of Expo Golf Villas phase three start from Dh999,888 and customers have a convenient payment plan, with monthly installments to be paid over a duration of five years. Emaar is set to hand over the first homes in Emaar South this year. The homes are suited for professionals working in the various business hubs in Dubai South, including the Aviation District, Logistics District, Business Park, Exhibition District and Humanitarian District. Located alongside the Main Boulevard of Emaar South, Expo Golf Villa residents will have access to amenities, including a gym, an outdoor swimming pool, kids’ playing area and a community centre. The average villa size ranges from 110 to 140 sqm.